Riding a bike requires great skill and observation – If you are having any issues that are spoiling your riding or preventing you from being the best that you can be, you need some training. It’s not unusual to undertake training in your career, in fact most employers have grown to recognise that continuous training makes employees more knowledgeable, skilled and productive. Riding a bike is no different, even the top GP riders get it wrong, and they practise till it hurts! You need continuous training to be at the top of your game. Devon and Somerset Advanced Riders is a non-profit group committed to helping you to improve your riding skill. 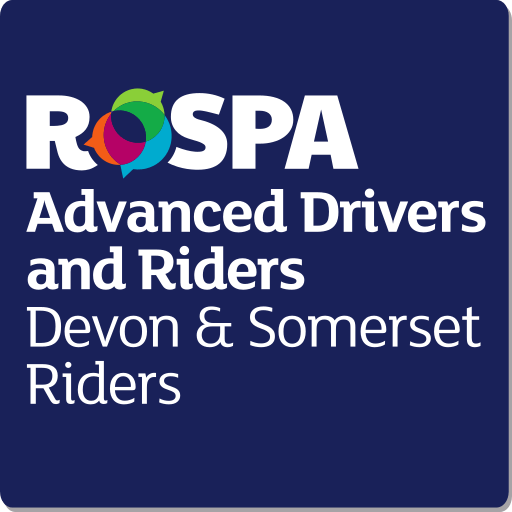 We are affiliated to RoSPA (Royal Society for the Prevention of Accidents) and we use their Advanced Riding test to measure the quality of the training we provide. The RoSPA test is graded from a Gold down to a Fail, we feel this gives you a more accurate assessment than all other Advanced riding Tests because they simply have Pass or Fail. Are you up to the challenge of chasing the highest riding award that is available to civilian riders in the World? By joining Devon & Somerset Advanced Riders you can be confident that you will receive quality training within a well-respected syllabus; this will be delivered in an individual way tailored to your needs. Whether you go on to take the test or simply want to go round those bends with a little more control or confidence, we can help you. It only costs £35 to join our group and then you can have instant access to our training forums and articles as well as being welcome on our regular monthly training rides. To Join Register Here.